Are you looking for the best selection of great pre-owned cars, trucks, and sport utility vehicles (SUVs) in Norman? 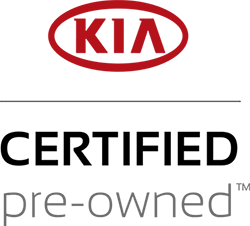 Or perhaps you have your eye on a specific Certified Pre-Owned Kia? Either way, Big Red Sports has exactly what you are looking for – all at a price that will never leave your bank account feeling the blues. Of course, shopping with Big Red Sports is about so much more than great selection and customer-friendly pricing; we also make it a point to give you the tools you need to make a smart, savvy, and comfortable choice when the time comes to commit to your automotive future. From completely removing pushy sales spiels from the used car lot experience to offering up a helping hand when you need a little more insight and information, each and every member of the Big Red Sports team is committed to not only doing right by you, but also to guaranteeing that you never leave our showroom floor unsatisfied with your decision. Considering how vital it is to make a good choice on this front, can you really afford to turn to one of the other, less reputable members of the local automotive community when the time comes to figure out which pre-owned vehicles slots perfectly into your time spent on the roads of Norman OK? While all of the used vehicles listed for sale here at Big Red Sports embody our steadfast commitment to quality, reliability, and performance, there is no denying that the Certified Pre-Owned Kias found within this bunch hold a certain unique allure. Whether you are entranced by a sporty Soul, the luxurious amenities of the Optima, or any other member of the Kia model family, these pre-owned offerings provide the perfect blend of the features you crave with a budget-friendly price point. 12-month/12,000-mile platinum coverage protection plan. 10-year/unlimited mileage roadside assistance and support. Breakdown coverage that includes towing, rental, and travel expenses. Available additional failure coverage for interested buyers. 24-hour access to roadside assistance. With this kind of backing on your side, it is plain to see that making the most out of everything from your daily routine to your next trip across the country moves firmly from dream to reality with the keys to a Certified Pre-Owned Kia in your hands. Now that you are all up to speed with the fact that Big Red Sports is your place to come for the top deals on a wide range of Certified Pre-Owned Kias and offerings from other automakers, there is really only one question the Big Red Sports team has left to ask you: When will you pay a visit to our friendly and inviting used car lot and learn a little more about the pre-owned vehicle that slots seamlessly into your daily commute? To get the ball rolling on this exciting process, and ensure that you are prepared to take control of your automotive future with an affordable and high quality used vehicle, go ahead and give us a call at (405) 364-8106. From here one of our helpful pre-owned specialists will lay out each step of the process and assist you with all of the little details as you begin the fun, exciting, and important journey toward upgrading your automotive situation with one of Big Red Sports' great used vehicles.